found out recently that there will be a contested race for Republican Primary for the 296th District Court. The court currently held by John Roach Jr., will be contested by McKinney attorney Keith Gore. Right now, the court only hears civil cases because John Roach Jr.’s father, John Roach is the District Attorney. John Roach Sr. will be stepping down, meaning the court will now hear civil and criminal cases once again. Below are bios on the candidates. As they put up campaign websites and I gain information on their campaigns, I will post it here. Keith Gore is a McKinney attorney in practice since 1997. Mr. Gore is a graduate of TCU and the University of Mississippi Law School. He was a former assistant district attorneya in Dallas County (Chief misdemeanor prosecutor and felony prosecutor), served as prosecutor for City of Frisco, Foreman of the Grand Jury in 2008, former Municipal Court Judge, City of Trenton, Texas, and is certified to handle death penalty cases. Mr. Gore currently handles both civil litigation and criminal defense with the firm he founded, the Law Office of Keith Gore. "The citizens of Collin County need a judge who is qualified to handle all cases filed with the court, including the most serious criminal cases, like capital murder, crimes against children and sexual assaults. I am the only candidate qualified to handle this broad range of cases." 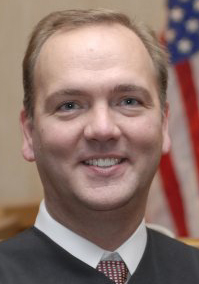 John Roach, Jr. is the current Judge of the 296th District Court. He was elected in March 2006 and took office January 2007. He is a former partner in the firm Albin, Harrison, and Roach where the firm practiced in business and General Civil Law including Medical Malpractice Insurance Defense, Municipal Law, Business and Corporate Law, Family Law, Land Use and Zoning, Wills, and Commercial and Business Litigation. Mr. Roach is a graduate of the University of Texas at Austin and St. Mary’s University School of Law and served in the United States Marine Corps Reserves. "I am very excited about my upcoming campaign for reelection as Judge. I enjoy the campaign trail because it allows me to talk about the court system, my philosophies about the law and get to meet so many new people. I have worked tirelessly in this position for the last 3 years and look forward to the next 4 years." More information about Mr. Roach can be found on his (future) campaign website at www.judgeroach.org.